Is it just us, or are we having déjà Voodoo? 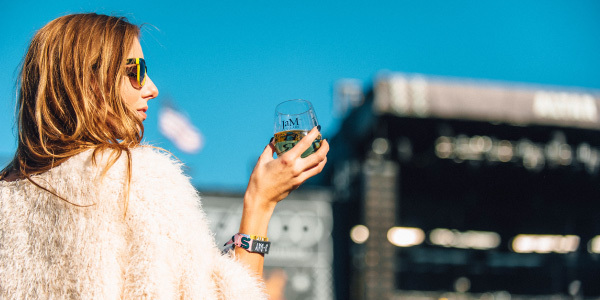 It might be because we’re bringing Butter, JaM and Toast back to NOLA again this year as the official wines of Voodoo Festival 2018! Amazing music, great wine, and a little taste of NOLA during Hallo-wine weekend... these are just a few of our favorite things. Friday night we’ll be raising the dead with Mumford and Sons, and maybe calling on Third Eye Blind to tell us our future in the Oracle. Saturday is Sabbath day as Lizzo, Janelle Monáe, and Childish Gambino all take over the Alter stage with crazy-high energy! Lastly, there will be a chill in the air on Sunday with the Arctic Monkeys (thanks for keeping our glass of Butter extra cold, guys) and Modest Mouse keeping us on our toes. 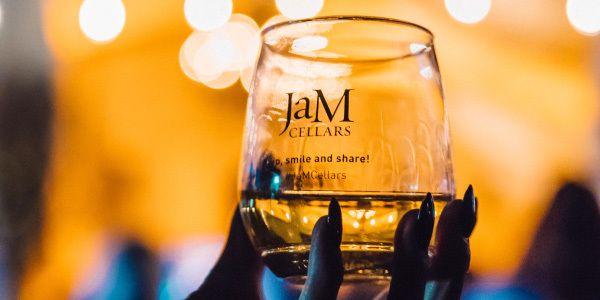 The JaM Cellars Voodoo Wine Lounge will be THE place to hang, with live-stream of the line-up, ‘gram-worthy backdrops to show-off your outfit, and of course our delicious wine! Do you Voodoo? We do! What happened to our extra Happy Hour? Sunday November 4th is the end of Daylight Saving, and we’re losing an hour of sleep as we make our way into officially-Fall. Except for you, Arizona and Hawaii. We see you. Waking up on Monday is hard enough without a lost hour. That’s why we’ve got the tips to make your daylight saving transition smoother than a glass of JaM Cabernet. 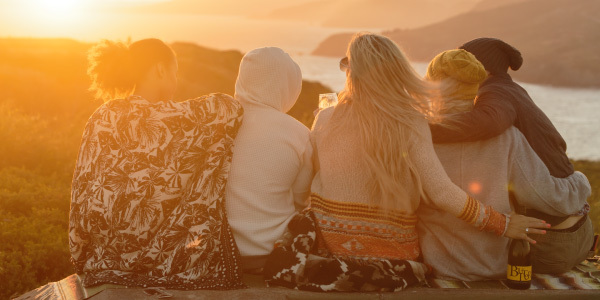 Make the most of your Sunday Funday. Flex those crockpot muscles with a set it and forget it dinner plan. You can’t go wrong with this One Pot Garlic Butter Chicken (with a creamy glass of Butter on the side, of course). Even better, plan on ordering pizza with a bottle of JaM Cabernet. Fake it ‘til you make it. Tired? Who, me? Get ahead of those under-eye bags with this cooling yellow eye mask. Pamper yourself while you’re proactive with your beauty and sip on a glass of ice cold Butter. You’ve earned it! Drift off to the sweet sounds of music. Need to go to bed earlier, but counting sheep not cutting it? Listen to a lullaby to get you to sleep easier after the change. Ok, maybe our lullabies include The Struts. You do you. How about some tricks AND some treats? Whether you’re gearing up for a night of ghouling around with the kiddos, or wicked night at a grown-ups only party, take some of the tricks up our sleeve for the best Hallo-wine ever. GoVino or go home: a seasoned trick-or-treat veteran knows that glass is a no-go when you’re out for haunting. Fill up that Govino with a juicy glass of JaM to really get into the evening’s adventures. Don’t be a wicked witch…pack a few extras to share with the poor lost souls who didn’t think ahead. Corks are for ghouls. Don’t bother bringing wine that needs a corkscrew. Get the party started even faster with Butter and JaM, always featured in super-easy screwcap bottles. Better yet, pick up a couple packs of ButterCans! Are you afraid of the dark? Let the neighbors know that after 8PM it’s time to wrangle the kids to count their candy and let the real fun begin. Eat, drink and be scary with easy apps like these Deviled Eggs or this Jack O’ Lantern Chips & Dip to feed the weary parents post-haunting. If you’ve got it, haunt it. Keep it real when you’re competing in this year’s costume contest. Get back to basics with a cheeky tee or get your Butter half to go all in on a JaM and Cheese couple’s costume. Don’t be afraid to trick or treat yourself with an extra glass of Butter. We don’t count calories on holidays, right? 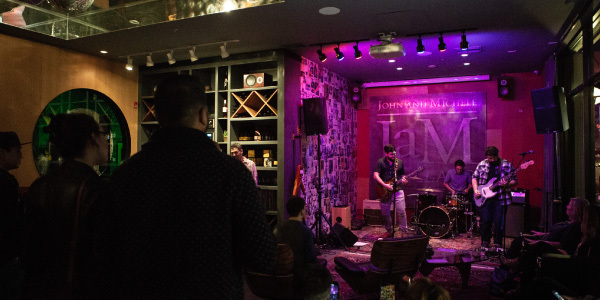 The Holidays are upon us, and so are Holiday JaMs at the JaM Cellars wine and music studio in Downtown Napa. We’re showing no signs of stopping, and we’ve brought some Toast for popping…the lights are turned way down low…come see the show, see the show, see the show! We are closing out the year with the live music every Thursday and Friday nights in November and December, except for Turkey Thursday of course. You’ll have to do some JaMming in your living room to our Holiday playlist to work off that extra bottle of Butter and pumpkin pie! Got family and friends in town? The good news is we’ve got a range of artists and that means something everyone can enjoy. We’re kicking off November with a little some indie tunes from Highway Poets and Complicated Animals and bringing it all together at the end of the month with Static and Surrender. We’ll be rockin’ around the Butter tree on December 6th because Zack Freitas is coming to town! Come and ring your jingle bells with us as we groove to JaM Cellars mainstays like Chris Pierce and other favorites too! You can always stay tuned to our events page for the latest lineups so you never miss a beat. We can’t wait to drink and be merry with you as we wrap up another Butter year of fabulous music, and JaM-ilicious wine in 2018!